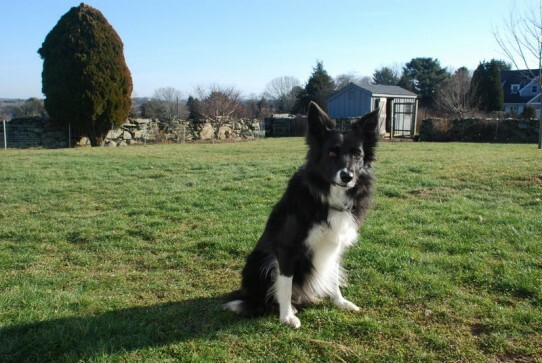 Welcome to the Stonehaven Farm blog. 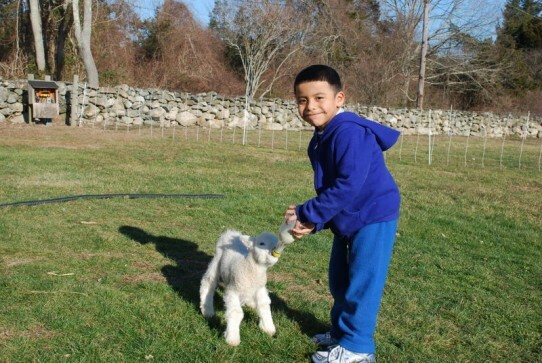 Many of our Farm Stay guests have asked to keep up to date with what’s happening on the farm. This blog is intended to do that and also to reach our Facebook friends and their friends. I’ll post lots of pictures too so you can see what’s happening. Winter time is always busy here because we lamb starting at the end of December. 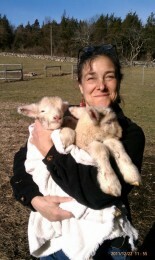 Our first lambs, twins, came on December 22nd followed by triplets on December 27th. 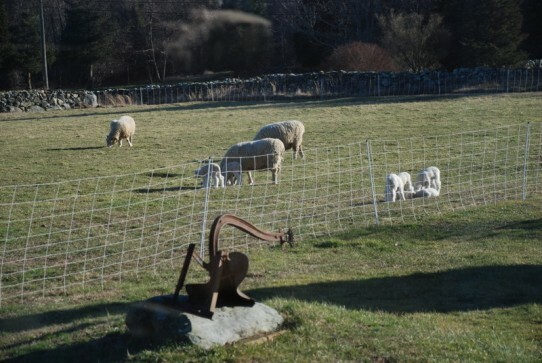 By now we have 8, and there are still 3 ewes to lamb. Some friends were here when the triplets were born. 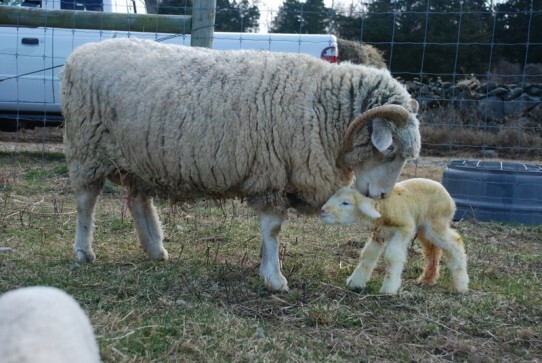 They were amazed at how the mother licks the lamb clean, then paws it to get it up to nurse. 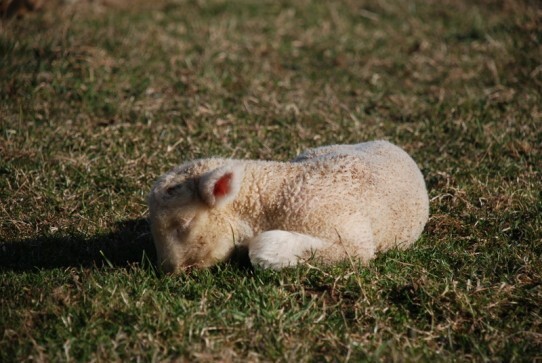 Most often a lamb will nurse within 30 minutes of birth. 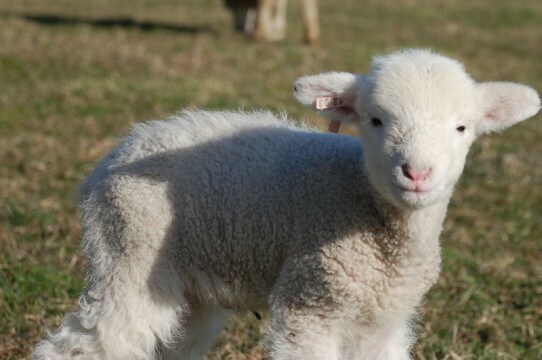 but in no time they’re confidently following their mother and hanging out with other lambs. Only 3 days later. 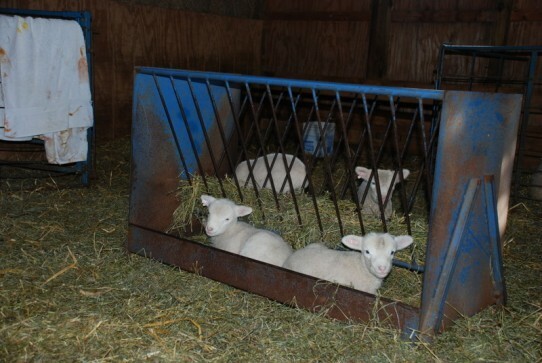 Triplets are sometimes difficult for a ewe. 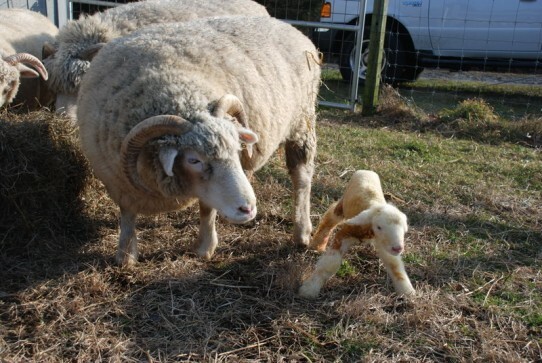 She has only two teats so one lamb can get pushed aside. If this happens, he needs supplemental milk. I’m feeding Sunny a bottle 3 times a day. He is so tame, he comes running when called and follows me around so much he trips me constantly. 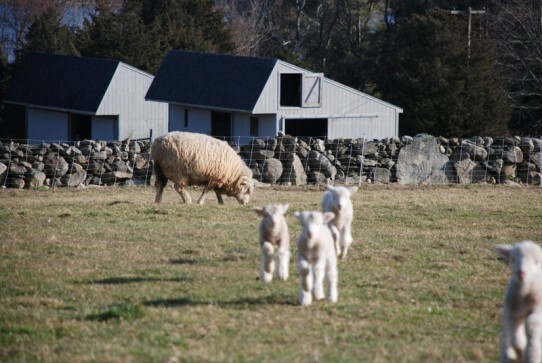 Also, the ewe has to learn to count to 3, difficult because she usually checks everyone is ok when 2 are nursing. This mother is so good, she knows to count. None of the bablies ever gets left behind. Cody isn’t interested in the lambs. She loves ducks. 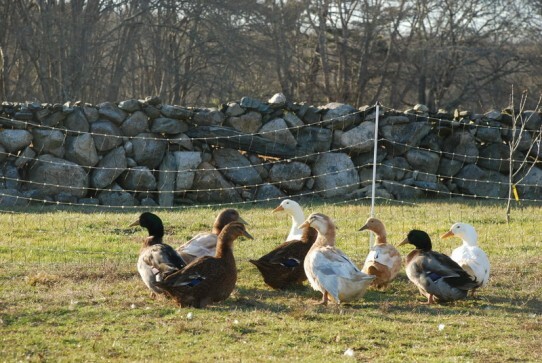 Our ducks have gotten so fat they give new meaning to the word waddle. Last summer’s baby chicks have just started to lay. The eggs are small because the chickens are young, but they’ll get bigger quickly. Last summer the hatchery couldn’t sennd me any Delaware chickens because a racoon got into their house and did them in. So they sent me Welsummers which lay cinnamon brown eggs and originally come from Holland, and Ameraucanas, originally from South America, which lay blue/green eggs. The combination is just beautiful. That’s all the excitement for now. I added a picture taken from the living room and deck. Would you believe how green the grass is? It’s been the most wonderfully mild autumn and winter. Let’s hope it lasts!